Corner of Route 125 and West Shore Park Rd. 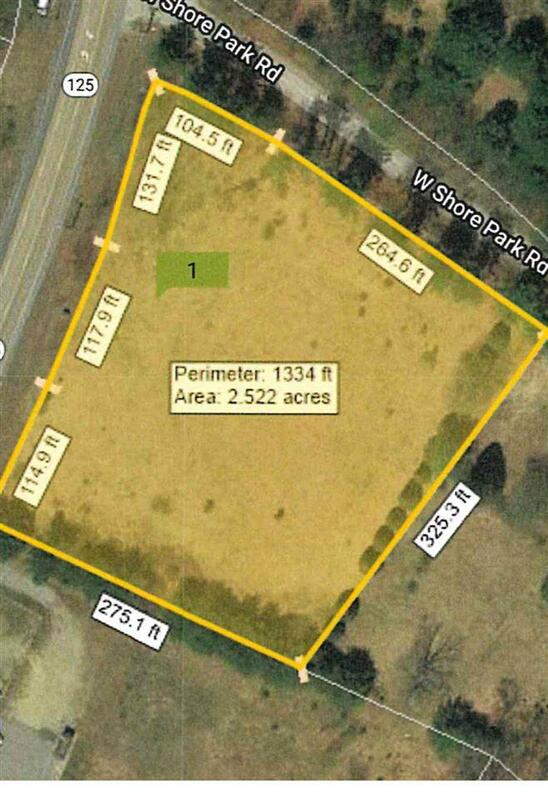 2.57 acres of open fields. No wetlands show on the town maps. Good visibility on Route 125. 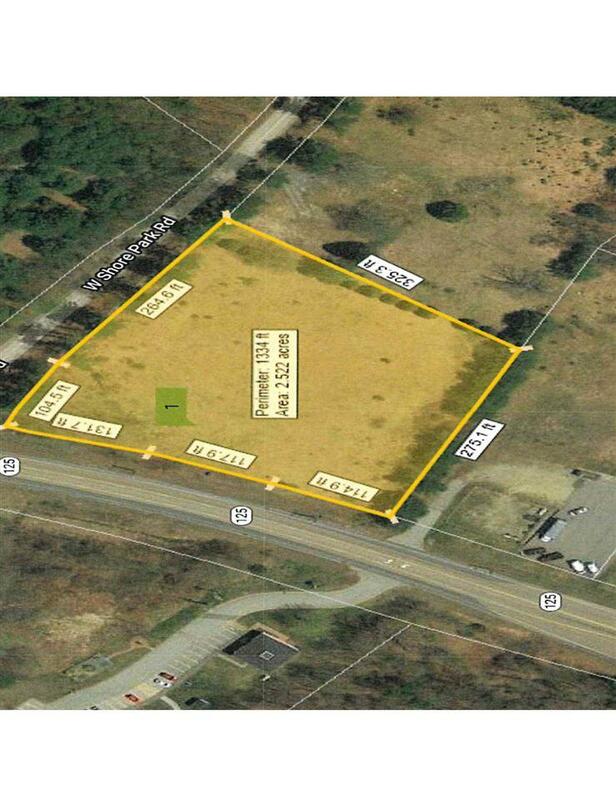 350'' of frontage on West Shore Park Road, 388' on Route 125. The Commercial 3 Zone has extensive permitted uses. For legal purposes the address is 1 West Shore Park Road. Seller owns property that abuts this property on two sides. Sold by The Merrill Bartlett Group.